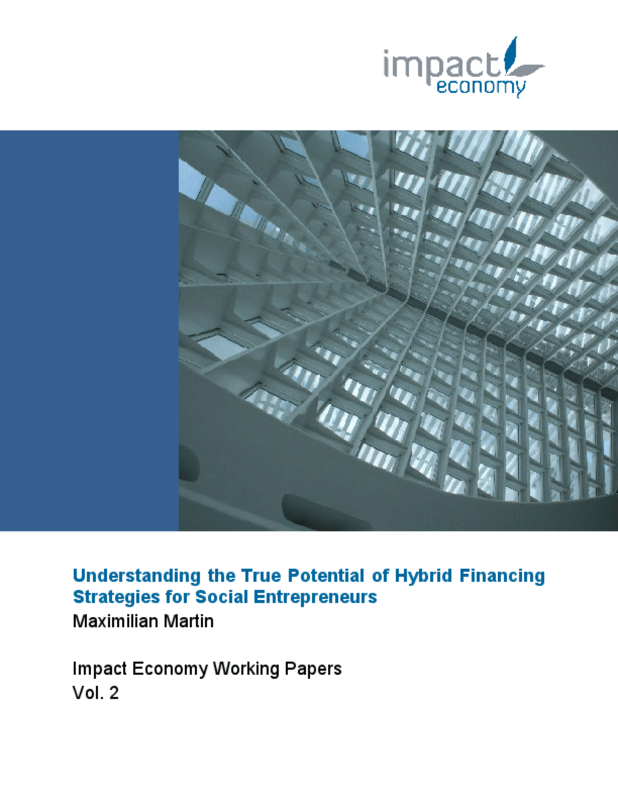 To get a practical sense of the true potential of hybrid financing strategies for social entrepreneurs, this study develops an evidence-based framework that is based on the empirical analysis of the financing approach of a number of widely recognized social entrepreneurs. We argue that the potential is significant but varies according to the subset of social entrepreneurs. Moreover, social entrepreneurs in general are well advised to derive the appropriate financing strategies for the expansion of their ventures from the first principles inherent in their business models rather than market enthusiasm. The true potential of hybrid financing strategies is significant. To fulfill the great expectations raised in the impact investing community, we need to pay close attention to the proper calibration of financing tools. Copyright 2011 Maximilian Martin. All rights reserved.